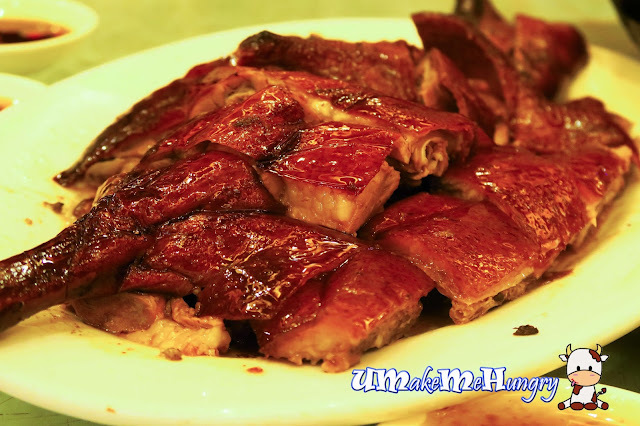 Thanks to the colleague who brought us here for Hong Kong Famous Goose. 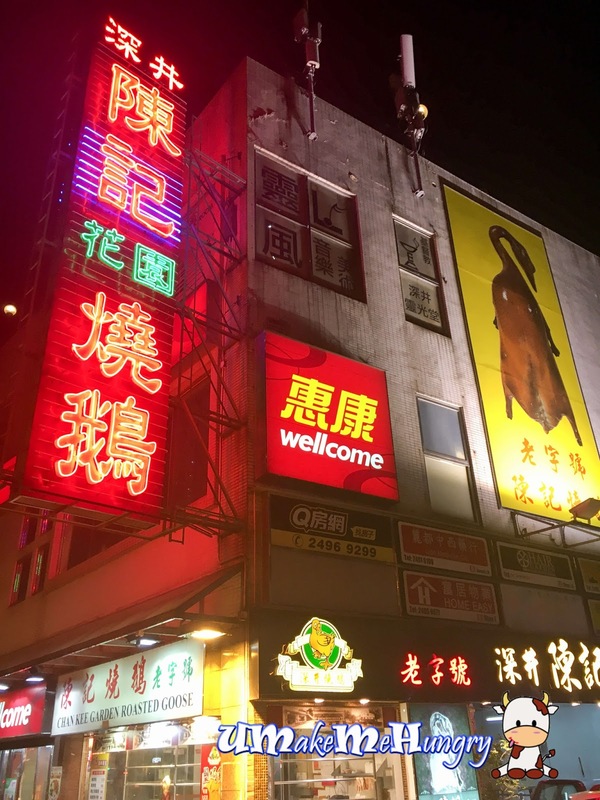 Apparently after so many trips to Hong Kong, I have never visited such place and I guess without having a local to drive and introduce you around, its hard to even come to such a wonderful place. 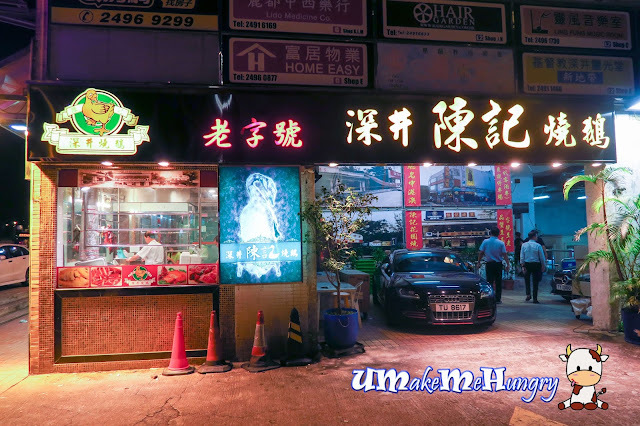 By words of the local, Chan Kee is arguably the most famous few restaurants in Sham Tseng and ah ha! that's why we were there! Being featured in one of the local programs in Singapore, Sham Tseng is actually an area in Hong Kong famous for its goose and along the streets, you can see a number of goose shops around. Business is rather competitive there I would say. Valet Parking is provided too. The place is very traditional Hong Kong Chinese restaurant with rowdy environment, bustling with families and groups of people gathering over the table for dinner. 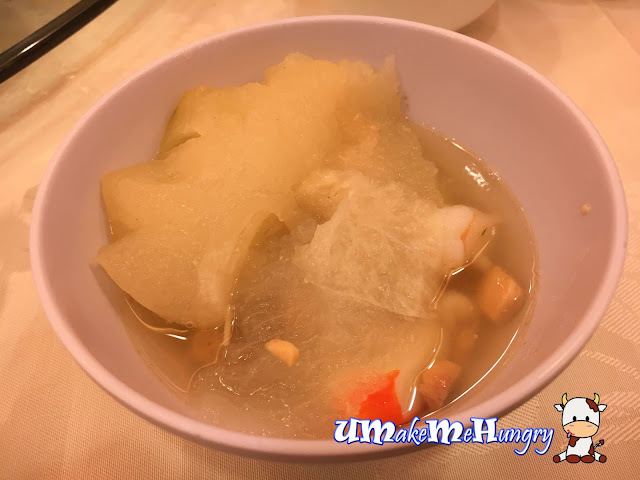 Winter melon soup was pretty cut in shape with jaws around its cirumference, topped with some seafood like prawns and crabsticks. 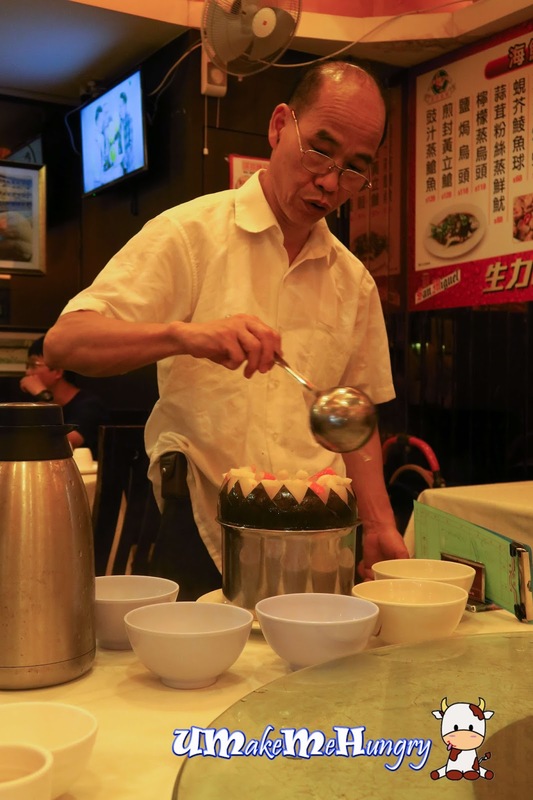 Being in the North Side for Hong Kong almost a week, I felt that the general behavior of restaurant staff was different from the central. However, I was wrong when I saw their culture surfacing in this restaurant. Servers tend to be frustrated and impatient but not to the extend of chasing us off after a meal. Portioning out the soup into bowls with similar and equal amount of ingredients, there is no doubt to say Cantonese are good in cooking soup. It was nutritiously good and refreshing to kick start a good dinner. This should be the best roast goose that we ever had in the week. It had a great flavour, crispy in skin and fatty parts were chewy. Best part that there was not any gamey flavour. Really to die for! I dont really like prawns but this is exceptional. 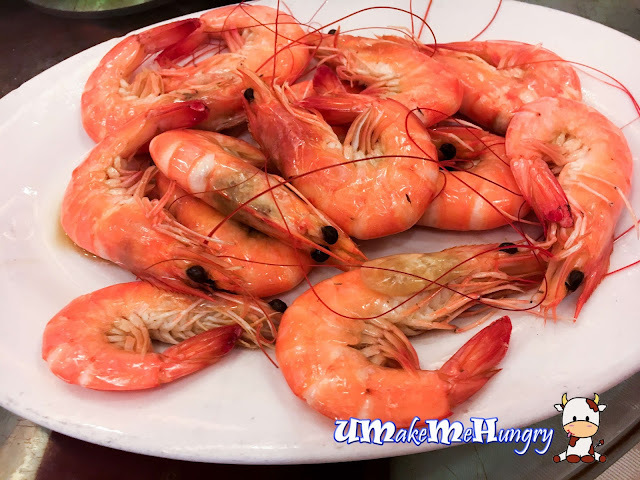 These prawns were plump and freshly steamed. 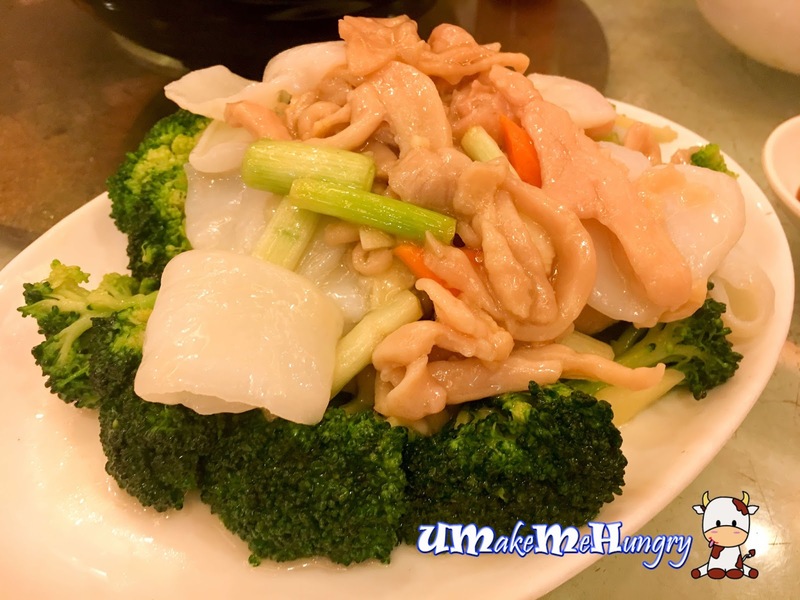 The only dish with more vegetables like broccoli and tasty shrooms. It was quite a simple dish without too much gravy. 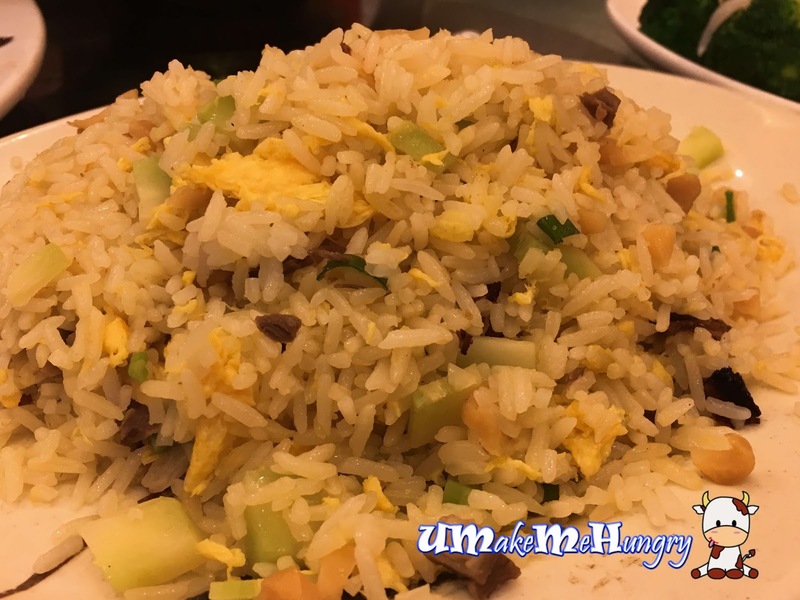 A Chinese meal will not be completed without rice or noodles and here's their Signature fried rice. 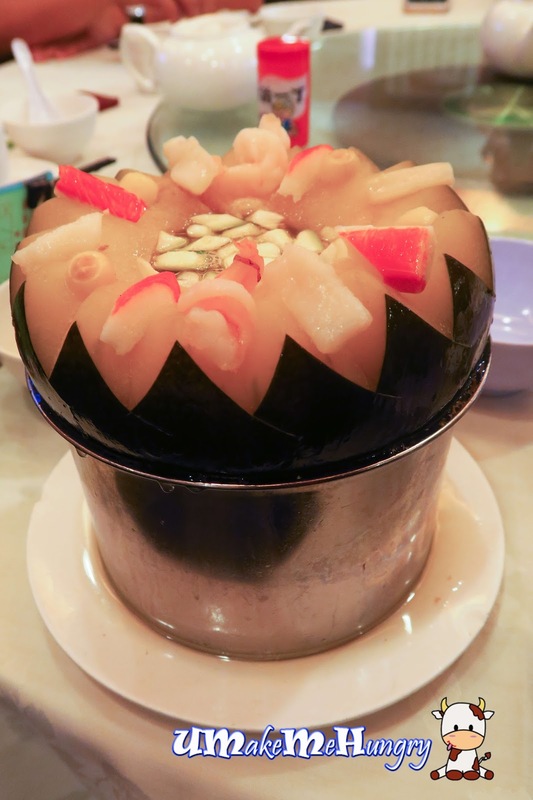 Fragrant and each mouthful contained generous amount of ingredients, making it irresistible even with other dishes. 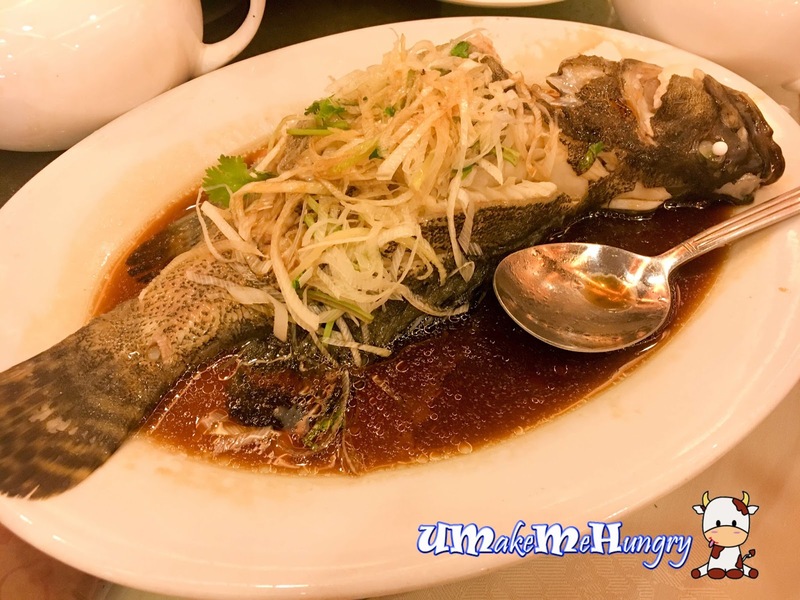 Loving this freshly steamed Hong Kong Style Grouper topped with scallion and coriander. Meat was soft and tender, soaked in soy sauce. Guess what is this? Some of us will be looking for this usually after a meal. 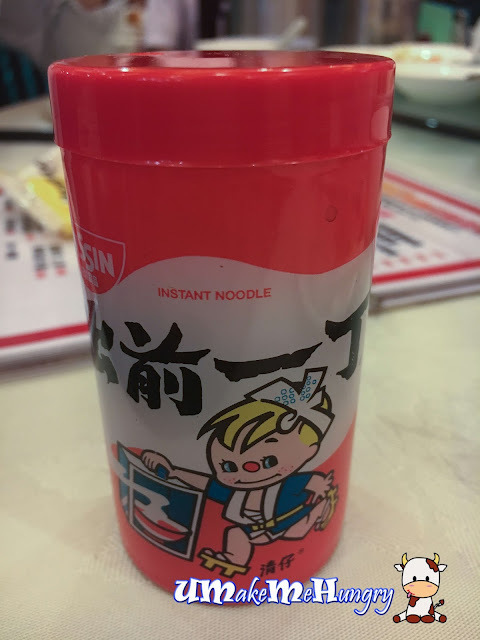 I took this because it was so cute with Nissin instant noodle packaging on the tooth pick container. It was a gastronomic experience having tried the Goose at this popular area and I was rather thankful to be there. I dont mind to be back at the same place for such wonderful spread of food again.